HealthPartners, headquartered in suburban Minneapolis, was founded as a co-op and in the past six decades has grown to include eight hospitals, a multispecialty group practice of nearly 1,800 physicians, more than 65 clinics across the greater Twin Cities area, and a health plan that provides coverage for 1.8 million people. 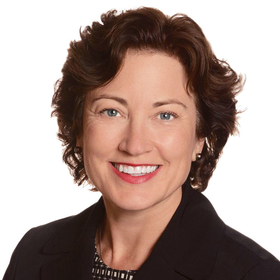 Andrea Walsh took over as CEO of HealthPartners in June 2017. It's been mostly smooth sailing for Walsh, who replaced retiring longtime leader Mary Brainerd. But an easy start shouldn't be surprising given Walsh's 23-year tenure at HealthPartners, most recently as executive vice president and chief marketing officer. Modern Healthcare Editor Aurora Aguilar recently spoke with Walsh about her first year. The following is an edited transcript. MH: What's the most surprising thing since you took over? Walsh: It's been great to spend time with teams across the organization. I learn something every day about innovation, about quality improvement, about the mindset that is deep within the organization in terms of our values and our passion. I was taking a look at some of the research that our team recently published around a new risk-assessment tool to prevent suicide, and it reminded me of a conversation I had a few months ago in the behavioral health unit with one of our nurses. When I asked her what she was most passionate about within the mental health unit, it was some of our work around suicide risk assessment and prevention and also what we're doing in terms of providing interpretive services for our patients who can't participate in group therapy. If you can't understand the language, you can't benefit from those therapies. It's the magic in those moments of seeing the passion our team has around providing the best care for patients and then working to bring that to life and then scale it across our organization. MH: Last year, you merged with Hutchinson Health to expand your reach beyond the Twin Cities. How is that going so far? Walsh: Really well. It's an organization that is focused on clinical quality, the experience of care and affordability, so their focus on the Triple Aim is very consistent with ours. We also in the past year formed a partnership with Bellin Health and ThedaCare in Wisconsin to bring to those eastern Wisconsin markets some new health plan offerings. We also began a partnership with Sanford Health in North and South Dakota to bring new Medicare offerings as well as new commercial offerings to that marketplace. Minnesota was unique prior to the Affordable Care Act. We had a high-risk pool, which was set up as a public policy mechanism to make sure that individual coverage was affordable. That high-risk pool went away as part of the ACA, and so we, like many other states, had a rocky start in the individual marketplace. In the past year, our individual market was far more stable as a result of the reinsurance mechanism allowed under a waiver from the CMS, and I expect it'll be more stable moving forward. MH: Having a health plan within your organization, you have information on your patients' vulnerabilities. How are you using that data? Walsh: We focus on prevention and care coordination to help people with chronic illness, and then a lot of high touch for people who are experiencing diagnoses like cancer or neurological conditions that involve a great need for expensive prescription drugs. Helping people get the care they need when and where they need it is the most effective approach from a quality and cost standpoint. That's where we put a lot of our effort. The fact that we're both a care delivery system and a health plan allows us to integrate services and deliver them in a seamless way. MH: The Twin Cities have grown into quite a technology hub. How has that benefited your organization? Walsh: Technology in healthcare is a big deal, and it's a place HealthPartners has made investments. One of my favorite examples is the work we've done to bring healthcare to your iPhone. Virtuwell is our online clinic, and we provide care for over 65 different medical conditions. Basically, you can go to Virtuwell instead of coming in for an office visit or going to an urgent-care clinic or the emergency room for a number of simple primary-care conditions. Through Virtuwell we also provide birth control and we've expanded into dermatology. For example, we use an app that makes it easier for our patients to shop for the lowest-cost prescription drugs and see variations that sometimes take place from one block to the next as far as cost. I would also say data and analytics and technology are places where we are mindful of needing to retain the talent we have on our teams and being able to recruit. MH: How has technology helped you serve some of your rural customers? Walsh: One of the things we've done across our care system is implement the use of telemedicine services for hospitalist coverage in more rural communities. Among our eight hospitals, we have Regions Hospital, which is a Level 1 trauma center in downtown St. Paul. To the east of that, we have Lakeview Hospital, which is a community hospital in Stillwater. Then in western Wisconsin we have three critical-access hospitals: Hudson Hospital, Westfields Hospital, and Amery Hospital. In those three hospitals, we need to be able to provide 24/7 clinical coverage, and our philosophy is to keep care local wherever care can be kept local. So we have great primary care and specialty care outreach in those communities. For after-hours care and for hospital-based care, we added telemedicine services that allow us to essentially create a team of hospitalists who provide continuity of care between Regions, Lakeview and our three critical-access hospitals, so we're able to essentially export our expertise from one hospital into the others. We've been able to provide a level of care that, if the hospital and practice were on its own, wouldn't happen. MH: The Mayo Clinic is in your neck of the woods and last year ran into some trouble after residents very publicly protested cuts to rural services. What lesson did you learn from that situation? Walsh: My takeaway would be that communities really prefer to have care kept in their communities whenever it can be. One of our challenges is finding that right balance. Where can we keep it local? Where do we need it to become more regional, and where do we need to have centers of excellence? Those continuums vary from community to community but, for sure, having community engagement is incredibly important. As part of our governance philosophy, our community hospitals continue to have community boards, and that's been conscious from our vantage point to keep the community engaged in conversations around both the challenges and the opportunities we all face in healthcare as affordability concerns, cost pressures and payer pressures continue to advance. It is a challenging situation, to be sure, and I think it's difficult for communities to appreciate how a lot of change happens if they're not engaged. MH: If Minnesota ends up implementing work requirements for Medicaid patients, how will that affect your patients? Walsh: In Minnesota, we have one of the lowest rates of unemployment in the nation. One of our challenges is finding people for the jobs that exist in the state. It's interesting from a Medicaid policy standpoint. We were and continue to be a state that was an early adopter of Medicaid expansion, so we have a greater number of individuals enrolled in state public programs, and that has been a good thing for us. The stability of people having coverage allows them to get the care they need and to be able to finance the care they need so they can stay employed. So health and employment are linked and are really important. From a Medicaid public policy standpoint, quite honestly, that hasn't been a big topic here in Minnesota. That may be because it's something that our governor was absolutely not interested in advancing, and so whether that comes up again next session remains to be seen. MH: How do you feel that your background in marketing has helped you in this role? Walsh: In marketing, it's all about listening—listening to your patients and to your members. As I've taken on the role of CEO, those listening skills and the ability to hear and understand what people want and translate that into how we provide better care—that's key. MH: What's next for HealthPartners? Walsh: We plan to continue to grow as a system and I think that will come in both care delivery and in the health plan, and probably most importantly, the sweet spot of where we're able to provide care and coverage together. The investments we've made and the partnerships we've forged give us an opportunity to bring new options to the market in those states, and so I would expect growth there. In addition, we're in an incredibly competitive marketplace here in the greater Twin Cities area, and I would expect we'll continue to grow and look for opportunities to partner with other systems.